After the last ice age about 10 thousand years ago, the climate began to grow warmer and wetter. Sphagnum moss began to grow in the stagnant waters of the broad valleys. The peat continued to grow and to spread. To the east of the Hondsrug between the Hunze and the Eems rivers it developed into the enormous Bourtange peat bog, which at one time measured 3,000 square kilometres. The layer of peat became so thick that it even began to grow up high against the sides of the Hondsrug. In some places, such as here on the edge of the Bargerveen, the peat covered the Hondsrug completely. Here you will see many large stones which were found under the ground when the peat was being dug. The Bargerveen is the only large area of the Bourtange peat bog still surviving in the Netherlands. 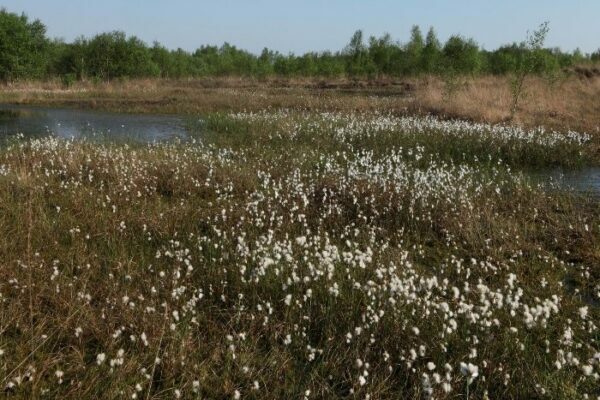 It is now a nature reserve of more than 2,000 hectares with one of the last areas of living peat. Sphagnum moss still grows here in small pools known as ‘meerstallen’. Peat and water are inseparable. Peat consists of 90% water. It is this water that enables the peat moss to grow into layers several metres thick. A peat bog is anything but flat and monotonous. It contains hummocks, flat areas and morass. The northern part of the Bargerveen is one large stretch of water. It is a real paradise for wildlife, as you can see for yourself from the large bird hide. The Bourtange peat bog once stretched from the Hunze to the Eems and was larger than the whole province of Drenthe. The only part now surviving in Drenthe is the Bargerveen in the southeast of the province. 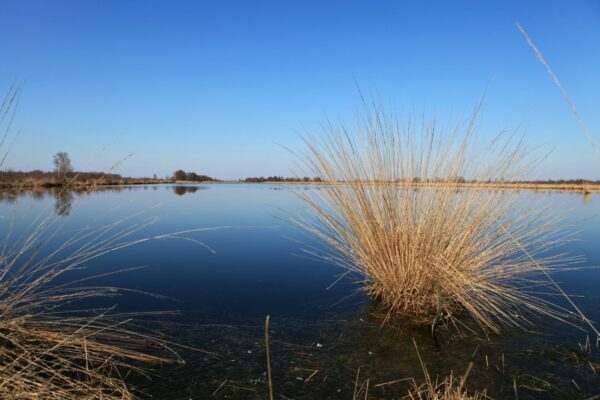 With an area of 2,000 hectares it is still an impressive nature reserve. Bargerveen is unique in the Netherlands because of its living peat. But the area is extremely fragile! Staatsbosbeheer (Woodland Management Agency) is trying to retain as much water as possible in the Bargerveen by using dams. If the peat dries out, the rare plants and animals in the bog will also disappear along with the moss. So it really is important to keep an eye on the water level … Nature in the Bargerveen is a good example of something which you also see in many other places in the Hondsrug region: that man and nature need each other!